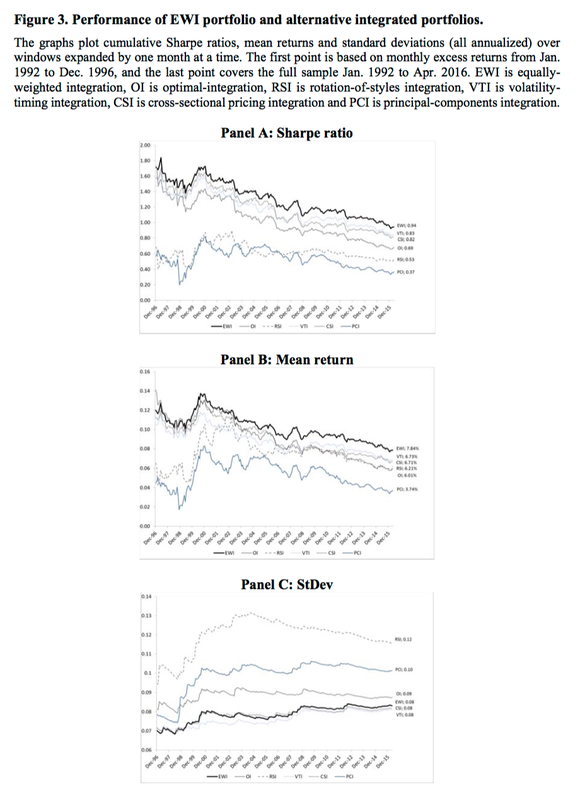 The key challenge for many global macro and managed futures managers (or any hedge fund combination) is showing their relevance during the post Financial Crisis period when the simple combination of stocks and bonds seem to have been enough to generate a very effective Sharpe ratio. 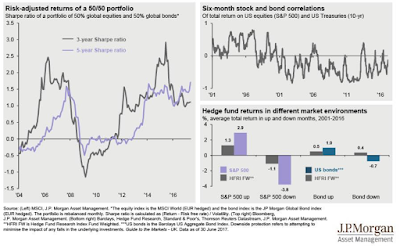 Hedge fund managers need to show their value-added in an environment where the negative correlation between stocks and bond has allowed the two-asset class blend to do an effective job of diversification. The performance numbers above show that the stock-bond combination value is dependent on two assumptions or environments. One, there has to be a negative correlation between stocks and bonds. Nevertheless, this correlation has been variable and at times positive. Two, there has to be a positive stock return environment. The current rally is not the longest but is becoming longer than average for the post-world war environment. It may not last. Both conditions cannot be guaranteed, so diversification through hedge funds is still relevant even if it is not case for a selected period. Nonetheless, instead of comparing performance or value-added to a stock index, the relevant benchmark should be a stock-bond blend. This is a higher hurdle for hedge fund value-added, but is more realistic because investors are already starting with a diversified portfolio. 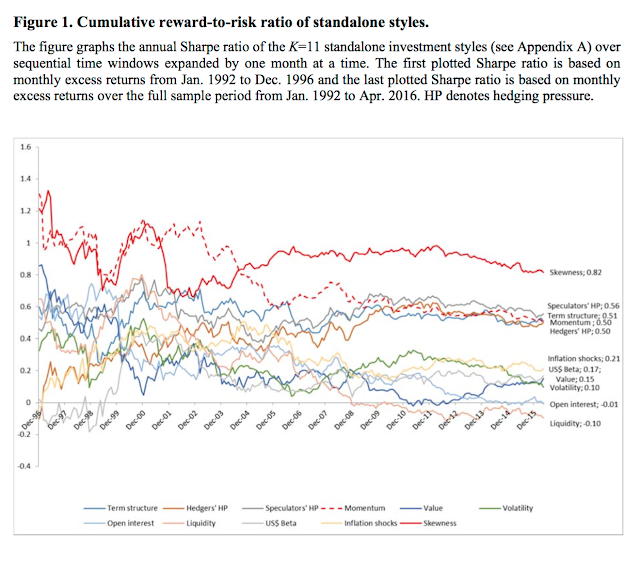 Hedge fund relevance is based on the marginal contribution to an existing portfolio not against a single asset class. Research over the last few years has found that a number of factors can explain return performance in commodity futures but there has not been any exhaustive analysis of how to blend all these factors within a portfolio. This is the critical issue for many commodity investors; improving the return profile through mixing styles along with markets. 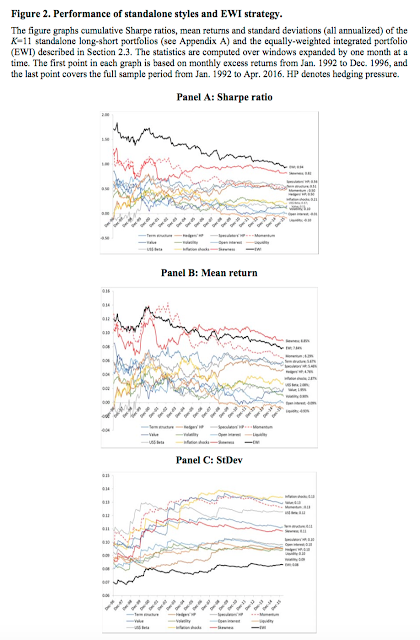 In the recent paper “Harvesting Commodity Styles: An Integrated Framework", the authors Adrian Fernandez-Perez, Ana-Maria Faeroes, Joelle Miffre has looked at a diversified portfolio of 28 markets, 11 different factor models, and 6 different portfolio weighing scheme. This is important investment management work for anyone who wants to blend commodity risk factors within a portfolio. Their conclusion is simple and straight-forward, equally weight all factors and you will get a more attractive return to risk portfolio than looking at any one or two factors. The return to risk characteristics of these factors are dynamic and with some going negative during the large commodity down cycle. 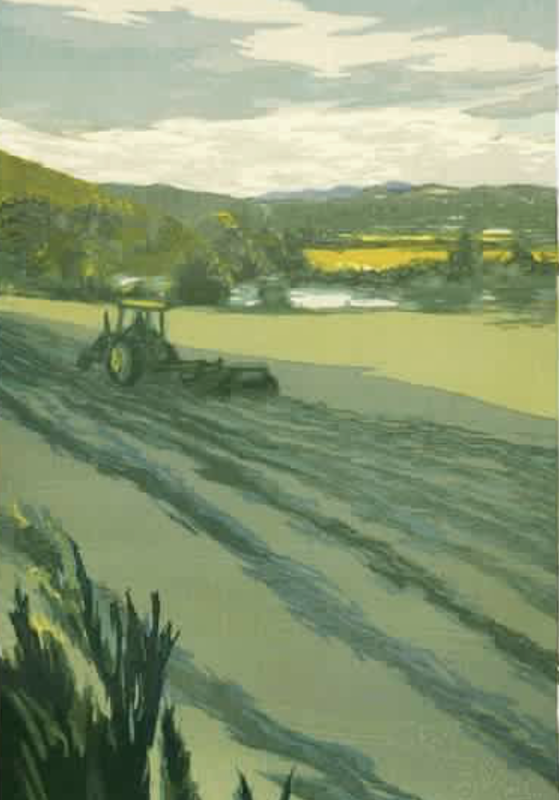 There is deterioration when they are blended but the general view is that blends will provide diversification benefit. The numbers show declines over the down portion of the super-cycle but the equal weighted outperforms the other combinations. The research finds the equal weighted approach does better than those dynamic approaches that may be subject to estimation risk. The individual risk factors all have high volatility and variable performance and the combinations do not show stability. The lesson is clear, use the combination of factors available but keep it simple when it comes to portfolio integration. The value-added even exists after accounting for transaction costs. Unfortunately, the equally weighted portfolio did not always outperform the GSCI index. 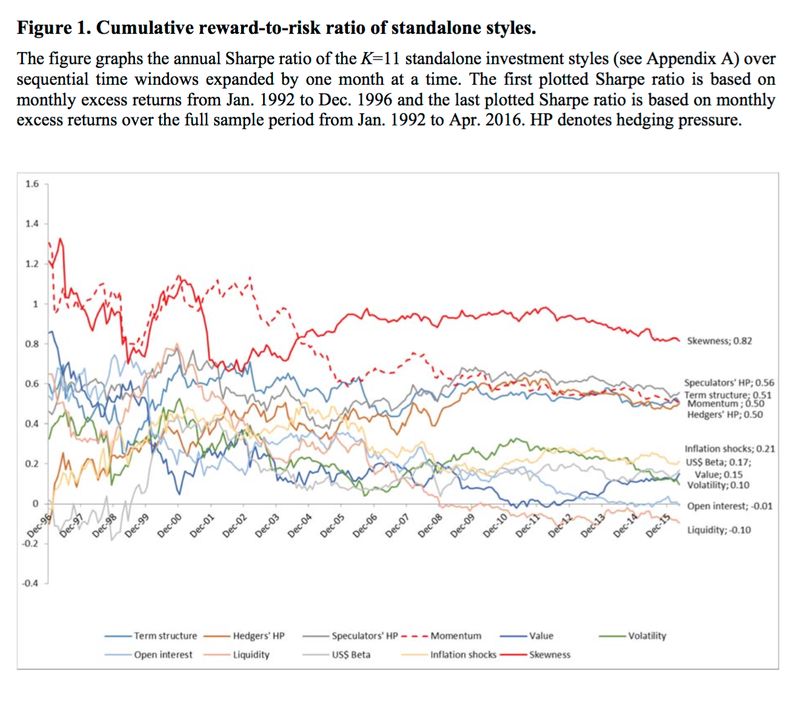 The Sharpe ratio between 1992-2016 was negative while the index was slightly positive. While it is able to better control risk, the factor model cannot generate positive returns in all sub-periods. More work on how to properly manage a commodity portfolio needs to be done but this research provides an improved roadmap. There has always been a lot of talk about the competitive advantage of a firm. For money managers, it has been about their edge. However, there is a new focus by some consulting forms about a firm's risk advantage. (See BCG's Henderson Institute - "Taking Advantage of Risk" and the BCG's Perspectives piece "From Risk Take to Risk Manager"). 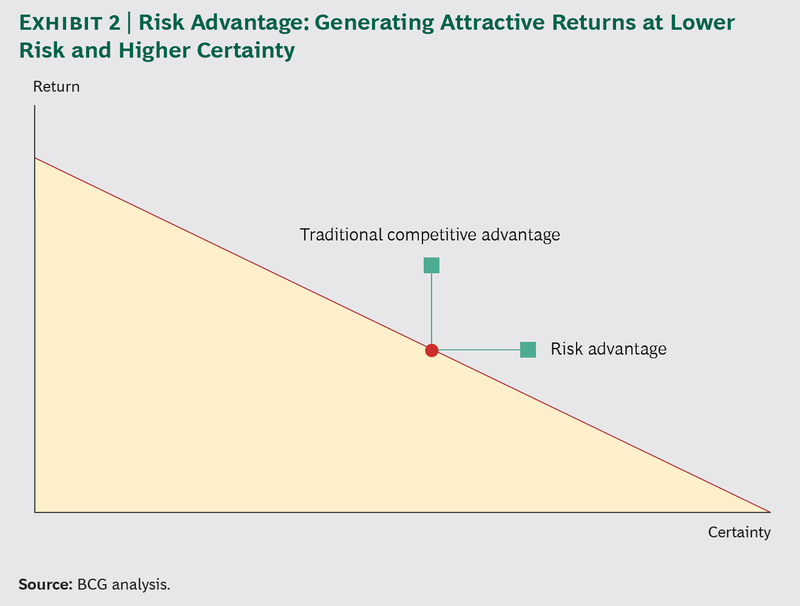 This strategy work has focused on a firm’s “risk advantage” as an alternative to competitive advantage. Firms that manage their strategic risk options can add value relative to those that look at risk management as a police function. 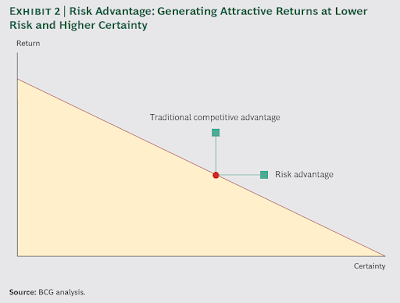 While many implicitly may think about the broader image of risk advantage, there may not be a clear emphasis on the advantages of risk management as a tool for comparative advantage. As risk premiums are further identified and enter the public domain, the firm differentiator is the ability to adjust and adapt the risk exposure. 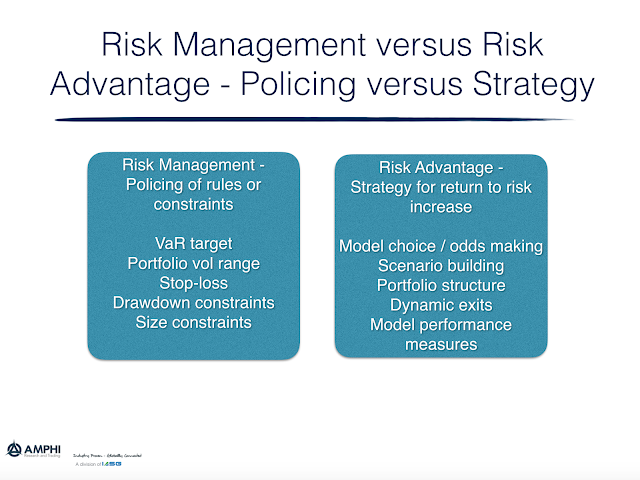 Instead of risk management as a traffic cop function, risk-taking and management is a choice which must be decided upon no different than a return choice. There is a duality between choosing return or risk. They cannot be separated. 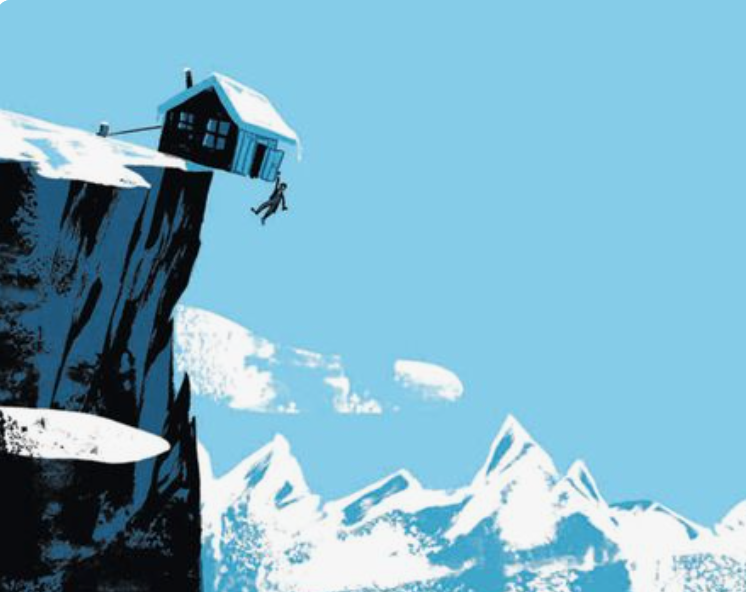 Risk advantages at the strategy level can be expansion anticipation through scenario analysis and looking ahead at what is possible, discipline will choosing the right risks through choice metrics, and the ability to show resilience through coming back from bad outcomes. A panic only occurs if you are a late follower toward the exit. 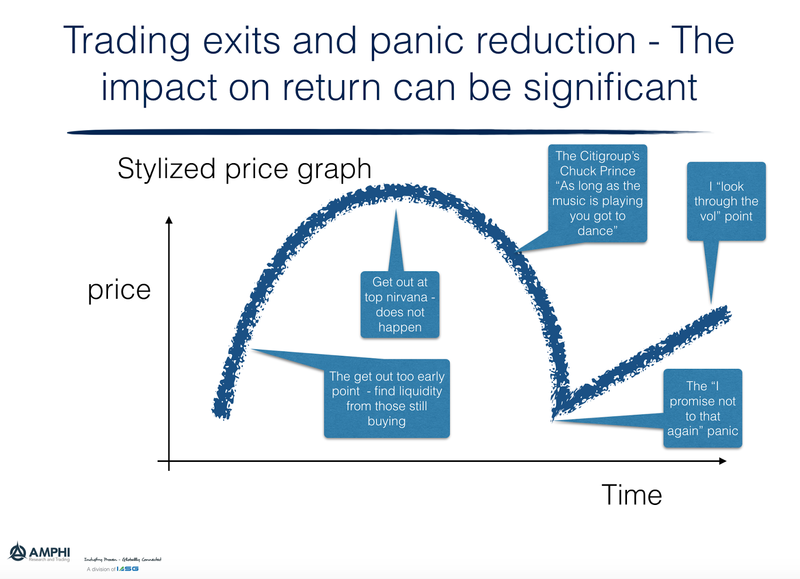 The panic occurs when you realize that the cost of exiting is higher than expected and liquidation is not moving as fast as expected. A trader can go through a mini-panic on a regular basis if an exit strategy is not planned correctly and there is a liquidity shortfall, Exit strategies are all about not panicking at those critical times, yet there are trade-offs between reducing panic and maximizing return. The control of exits as well as entries is a core issue with model building and drives incremental returns. As firms get bigger the cost of entry and exit becomes higher and becomes a key source of differentiation across firms. For exits, leaving money on the table by leaving early may be more important than extracting the last value with the risk of a liquidity event. Liquidity or panic really occurs when there is a endogenous risk event, a trading event based on market behavior and not outside shocks. If there is a trading reaction from down trend, a triggering of orders based on price behavior the potential for less liquidity and panic increase. Hence, there is a need for larger firms to look for exits prior to tops in order to lessen liquidity risk. 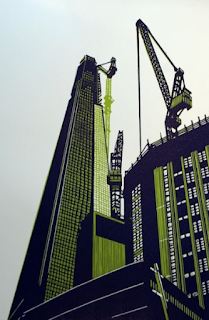 Smaller firms could wait longer but they may suffer from the liquidity-taking of larger firms. A game theoretic approach is necessary when looking at trading exit risk. This is more than just stop placement and some liquidity measure. The use of dispersion in orders through algos must be looked at conditionally versus liquidity situation. The critical question of exit strategies has certainly been elevated in importance for most managers was well as investors. No liquidity and there is the potential for financial panics on the micro level. If even firms have the same problem, there is potential for a major panic. If you wanted to focus on three longer-term macro factors that will drive overall commodity prices, it will be global growth, the dollar, and liquidity. The determination of long-only allocations in any asset allocation should focus on these three. Trading issues will be driven by volatility and market shocks. Growth impacts demand, the dollar level will impact the market-clearing price since so many commodities are priced in dollar, and liquidity will impact investments and speculative flows. If growth globally, increases, demand for raw materials like metals and oil will increase with the unanticipated portion of growth. The price elasticity will change with the level of inventory. As excess inventories come down and production tightens, growth shocks will be more significant. As the dollar goes up, the cost paid for any dollar denominated commodity will also go up. The supply side will often be determined by production shocks which by their very nature will be surprises, but liquidity will impact supply through financing. New investment, the cost of holding inventory, and demand will be affected by the price of liquidity/credit. So what do you need to know for general commodity price movements? There is a positive relationship between growth and commodities, especially base metals and oil prices. Hence, more growth should be commodity positive. A falling dollar will be commodity positive by reducing cost of purchasing the commodity. Finally, the real rate of interest will impact investment decisions. 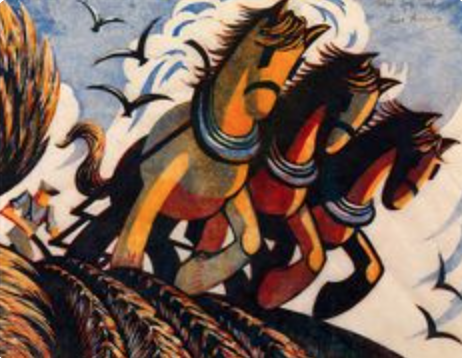 So what are the cross-currents for commodities today? First, there is growing dispersion across commodity prices. The one factor world of a global growth slowdown and then pick-up is over with energy prices separating from metals and food. The impact is that there is more intra-sector diversification benefit from commodities and an increase in value from skill investing. We expect this trend to continue. The tight correlation between global commodity prices has fallen with the stabilization of global growth. The lead-lag relationship between growth and prices does change over time with the more recent surge in global prices preceding the pick-up in 2017 growth. Looking at OECD recession indicators suggests that commodity prices will weaken when recession indicators are heightened. Currently, there are no heightened indicators of global recession. The long slide in the dollar matched the rise in commodity prices and the dollar gains over the last few years were matched by declines in commodity prices. The current dollar decline while significant over the short-run has a long way to go to match the lows in the dollar during the post-financial crisis period. Nevertheless, if the dollar slide continues, we will see increased commodity demand. The extended period of low real rates has meant that liquidity changes have not been a significant driver in commodity trends. While the Fed is raising rates, other central banks have continued to follow loose monetary policies that have made liquidity a non-issue in commodities at this time. Given these relationships, we are positive on asset allocations to commodity opportunities. This may not come in the form of the traditional commodity indices but holding commodities as a diversifier and return generator has more forward-looking benefit. The lifeblood of hedge funds as businesses is their performance pricing proposition through incentive fees. Unfortunately for them, the simple business model of 2% management fee and 20% incentive fees is fast becoming extinct. Pricing is coming down as well as becoming more complex with more pricing alternatives as the hedge fund business becomes more competitive and investors become more sensitive to alpha production. New pricing alternatives are more closely aligned with the skill of managers. Investors have shifted to pricing models to take advantage of the growth in benchmarks to minimize paying high fees for beta. 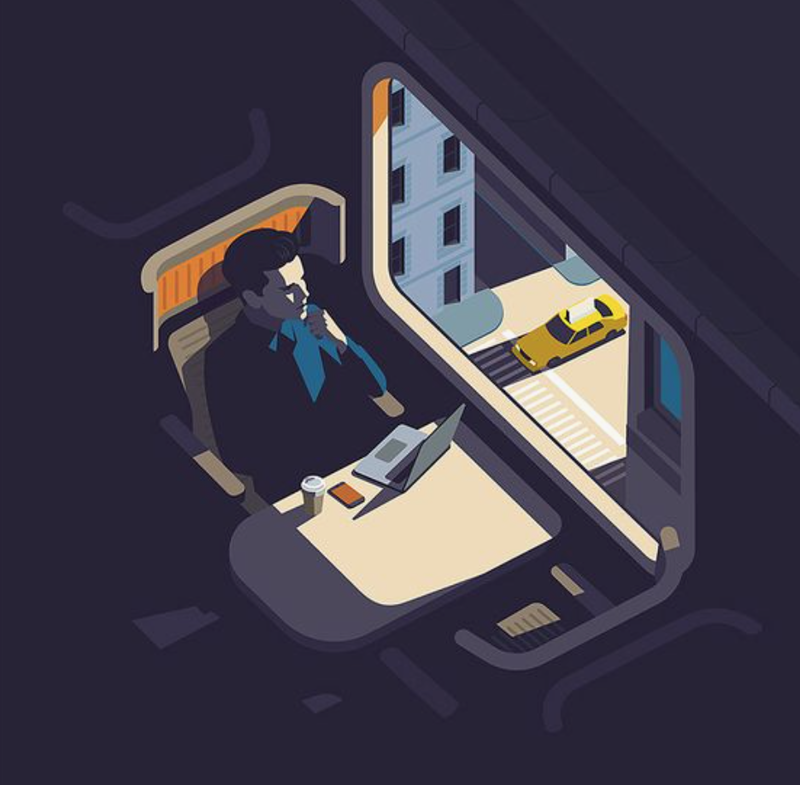 The new business proposition for both investor and manager is to align incentives so that the talent performs better as these incentives become more focused. These incentives are aligned if managers receive money for performance and not asset gathering and any incentive payment is tied to alpha production not beta risk-taking. Still, the fixed costs of hedge fund management have to be covered with some stable fees. Consequently, a model of squeezing management fees or providing no incentive fees does not help managers who may have limited capacity. This aggressive pricing may in the longer-run hurt investors who want to hold the best managers in their portfolio. Unfortunately, those hit hardest with the trend to new pricing models are newer and smaller managers. The choice set of fee structures has widened from flat low fixed fees for large allocations to more innovative fee structures like the "1 or 30" concept rolled out by Texas Teacher's pension plan. The 1 or 30 and similar variations reveal the preferences of both manager and investor. The manager who is willing to take the 30% incentive deal places more weight on his ability to deliver strong consistent returns. Those managers that focus on fixed fees, especially after fixed costs are covered, shows a bias toward asset gathering and stability of cash flows not performance. The pricing negotiations review the preferences and skill confidence of both parties. Using "or" choices, switching choices between fees and incentives, tiered pricing by AUM, hurdles, and benchmarks all provide insight on manager skill as well as their business savvy. This is all positive for the industry as long s the focus is on aligning incentives and not just extracting lower fees. Tetlock - Political forecasting is a loser's game... So follow trends? The talking heads in the media spend significant time making political predictions. Even many Wall Street economists fall into the trap of giving political forecasting advice instead of digesting the economic data. The outcomes and impact of elections; pundits usually don't know. The time of geopolitical risks and wars; pundits don't know. The cultural changes that will impact markets; pundits don't know. Unfortunately, the media does like the experts who are doubtful and equivocate. Pundits, however, are not often stupid. They provide significant amounts of information, background, and data. It is just that their ability to make good forecasts is poor. The advice from the forecasting expert Phillip Tetlock, the author of Superforecasters and Expert Political Judgment: How Good is It? 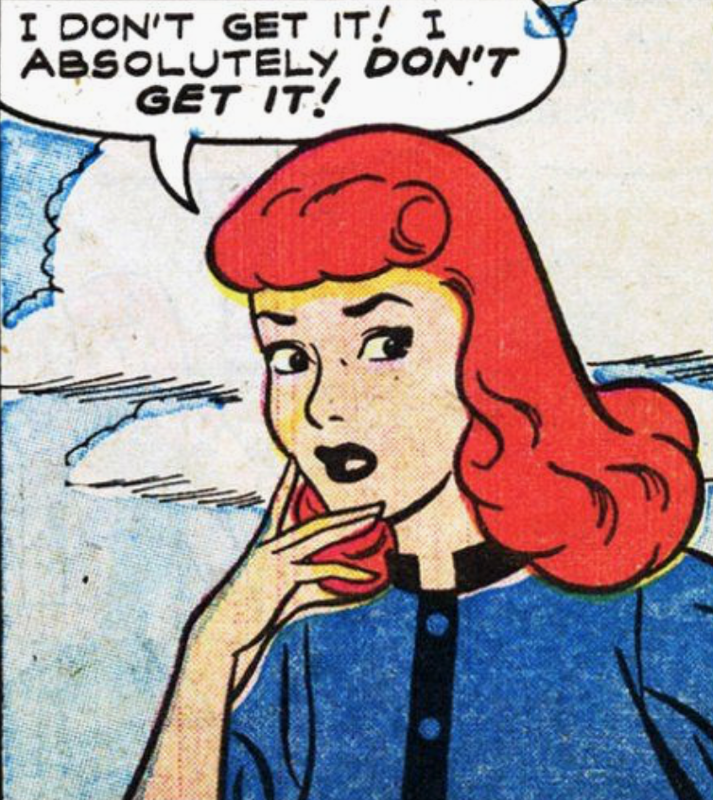 How Can We Know? 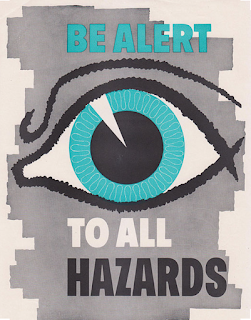 is very simple, "Don't listen to them". Their overconfidence will cause investor decisions to go awry. They place too high a probability on their views. This failure of "experts" is another reason for using systematic investing like trend-following. You avoid the poor forecasting of political pundits and focus on what the markets are actually telling you through the behavior in prices. If the weight of opinion as expressed through "dollar votes" suggests that a market should be lower, prices will trend lower. A more uncertain environment will have shallower trends and more volatility. These prices may be noisy and may use the inputs of political experts, but the average price from crowd is still a good guess of what may happen. In some sense, the volatility in prices and slope of the trend provides an indicator on the confident of market opinion. Of course some may argue that you will be too late if you follow market prices or that market direction can be plan wrong, but evidence over the long-run is that trend-following is effective. At the very least, the direction of market opinion through dollar votes may be more informative than the opinions of talking heads. Someone can point to when markets get it wrong and there is a sharp price change or reversal, but that can be contained through risk management and stop-loses. The important point is that the aggregate opinion of market participants will do better than the overconfident opinions of experts. Motivated cognition - we believe what we want to believe. We will also believe based on who we are and who we want to be. Our goals and needs shape our thinking. Facts do not change our goals when we have motivated cognition. Investors rationalize and filter evidence presented to support their views. Motivated reasoning will generate confirmation biases. This type of cognition can actually be effortless and is pervasive with many. Following what we want to believe is not hard work. The hard work is looking at evidence without bias. Motivated cognition is also goal-orientated. We look for evidence to support our goals. It focuses on confirming what we already know and meeting current objectives. It can be very impactful because it can lead to significant mistakes in judgment. If we have a large equity allocation, we will look for evidence that supports this position and dismiss information that contradicts this position. Our cognitive focus is driven by our desire to be right. It focuses our attention on information that supports what we want to happen not what will actually happen. The power of research is to break the motivated cognition of what may not be true. Evidence-based investing focuses on the likelihood of events and not the desire for events to occur. The key goal for research is to present likelihoods and support positions. It is easy to say that investors should break through their motivated cognition, but much harder to implement. The use of a systematic and disciplined investment and research process is an effective way of reducing the confirmation biases by making the decision process explicitly based on a set criteria that can be tested. 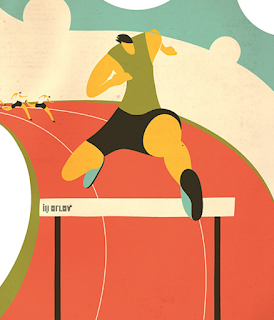 Decisions rules can be tested against past data and reviewed against future performance. There may still be biases based on the weighting of the evidence, but a systematic process can allow for testable analysis. Systematic investing can eliminate one of the key psychological problems facing investors. There are two communication problems with global macro investing. First, the stories used to explain the global macro economy are confusing, contradictory, and haven't proved to be true. This is an outgrowth of the poor forecasting of macroeconomics in general. Second, the stories used to explain the investment process especially for quants goes over the head of most investors. A discussion of techniques is not an explanation for how returns can be generated. Managers need to work on their narratives to ensure that investors understand what they do and why they make money. These two issues are more acute given the way these global macro and managed futures programs have been sold. Managed futures managers have presented the story that their strategies will do well during a financial crisis given past low or negative correlation, yet this correlation benefit is not a certainty. 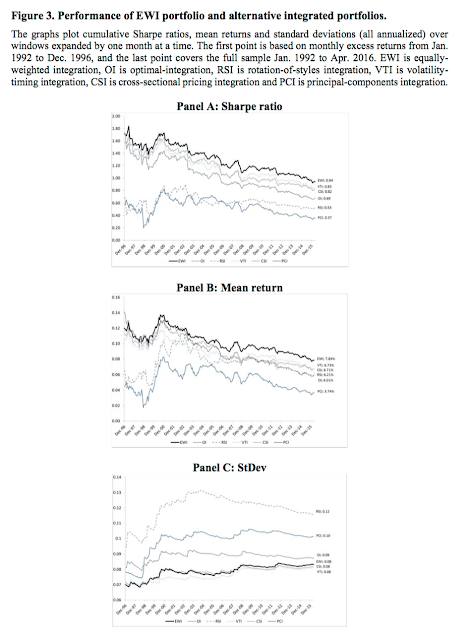 Investors do not really know what to expect from these managers given there have not been good narratives to explain why there are low correlation benefits. 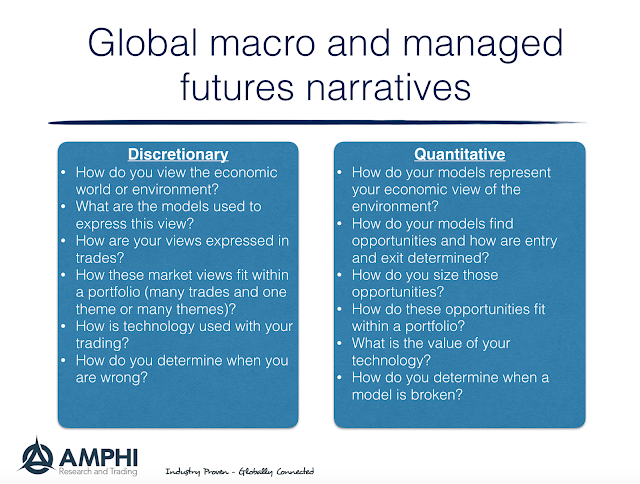 We will not present a general narrative for the benefit of managed futures or global macro at this time, but will suggests some questions that have to be answered to provide a good narrative for any firm. There is no magic formula for providing the right narrative but any story has to have a well-defined beginning, middle, and end. A firm's narrative is like a journey. The first part is how the manager got to the point of having a unique strategy, the middle is the challenge for how the investment problem faced will be solved, and the third part or end is the performance or the results from the strategy. Below is a list of some simple questions that should be included in any narrative. Whether discretionary or quant, a good narrative starts with a view of the economic world or environment. The worldview places decisions and modeling approaches into context. The worldview concerning the behavior of markets needs to then be expressed in trades and in a portfolio. 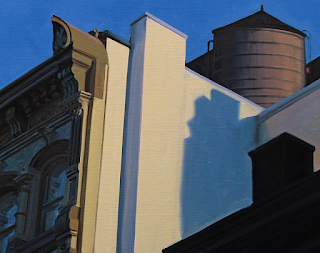 An important question is whether trades represent multiple themes or variations on one theme. A good narrative also discusses how technology and research is used to generate returns, and will discuss when there is failure and how it is overcome. Without a good narrative investors cannot understand the firm's value-added and appreciate when a strategy will have benefit. Unfortunately, even successful managers do not spend enough time developing their story and do not peak to their investors in ways that are clearly understandable. Global macro in one page - Where is that inflation? Where is that inflation? Central banks have this fixation on 2% inflation as both a goal and a signal. Policies have been structured for the magic 2% and signals for balance sheet action are based on the inflation hitting 2%, yet current inflation has not been able to reach this number. Growth expectations have been moved higher, yet there seems to be continued economic slack that will not allow product prices to push beyond 2%. Hence, central banks have held to current policies. (An exception was the Bank of Canada this month.) The result has been further asset price appreciation and more leverage. This combination will have to be adjusted, but not today. Nevertheless, markets are still hyper-sensitive to monetary policy musings. High valuations and leverage make for a more difficult environment when there is a more market uncertainty concerning geopolitical shocks. 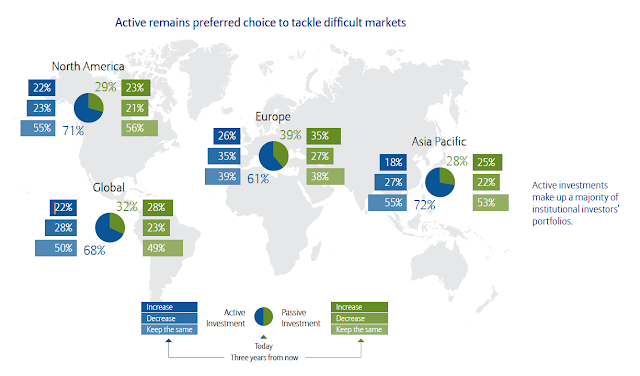 As noted in a recent post, (AllianzGI Risk Monitor survey - Geopolitical risk on the rise, requires special thinking), geopolitical risks is on the rise as the top risk with investors. These types of risks are especially difficult to hedge given the impact across many asset classes. Growth expectations can be reversed quickly on a negative geopolitical event and leverage will make economies more sensitive to any shock. Investors have to think about strategies that will be more nimble to a negative geopolitical shock. If you tell me I have increased equity risk, I can adjust my asset allocation way from stocks and determine a good hedge strategy. If you tell me there is more interest rate risk, I can adjust my bond exposure and determine a hedge. But, if you tell me I have geopolitical risks, the choices or options become more complex. Geopolitical risks just don't happen often so we don't have a lot of countable events. Increased political risks will usually mean risk-off, but how this plays-out through a portfolio is less clear. It calls for more careful portfolio construction and diversification management. The AllianzGI Risk Monitor survey is more important this year because it highlights a change in risk concerns. With over 750 respondents around the world, this year's survey, for the first time, places geopolitical risks at the top of the list with 40% viewing these as a concern. The list of worries translates into equity market and event risks topping the polls. Both increased over last year. 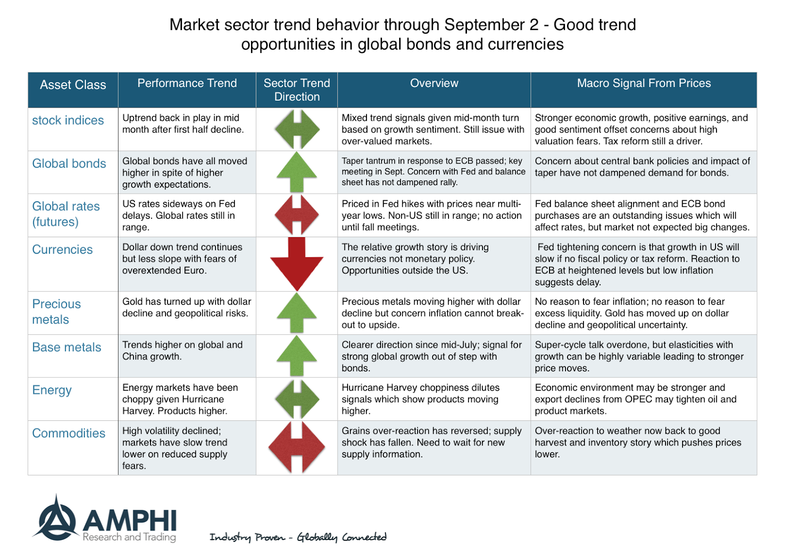 The geopolitical risks have made investors more wary of a tail risk event which can have a major impact on performance. Tail risk worries are up over 10% since last year's survey. What are investors planning to do about these greater geopolitical risks? The survey suggests that there are two approaches for dealing with this market uncertainty. First, investors will continue to be active managers so options are open in order to nimbly react to change. Second, investors will continue to employ strategies to enhance diversification. When in doubt, hold a broad basket of asset classes and strategies that can be adjusted as needed. What applies to the portfolio overall also applies to alternative investments. 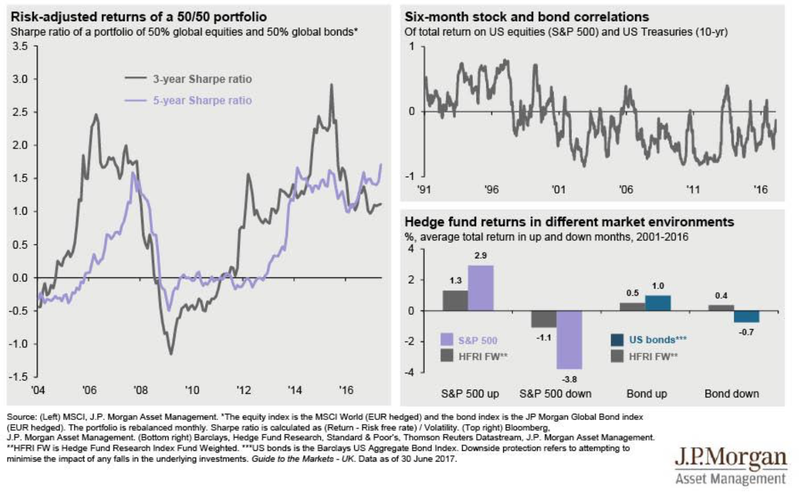 The survey emphasizes the important role of diversification from hedge funds. In an uncertain world, strategies that help maximize diversification should be in high demand. Global macro and managed futures fit this profile. These strategies have low overall diversification because they actively trade many asset classes. Additionally, managed futures has shown to generate crisis alpha or a crisis risk offset which will be extremely helpful if there is a geopolitical event that creates strong tail risks. 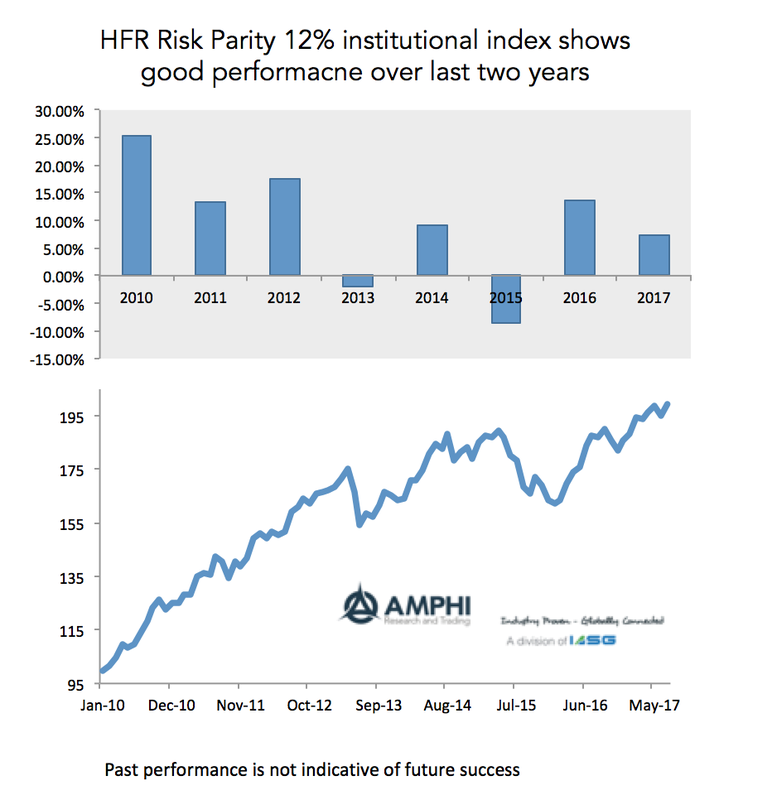 HFR risk parity indices - A systematic alternative that is returning? 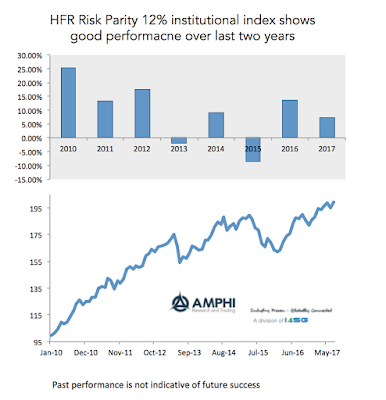 HFR has announced a new set of risk parity indices. The set of indices includes risk parity strategies at different volatility levels and for both institutional levels and smaller funds. These investable indices represent 25 different products with $110 billion in AUM. 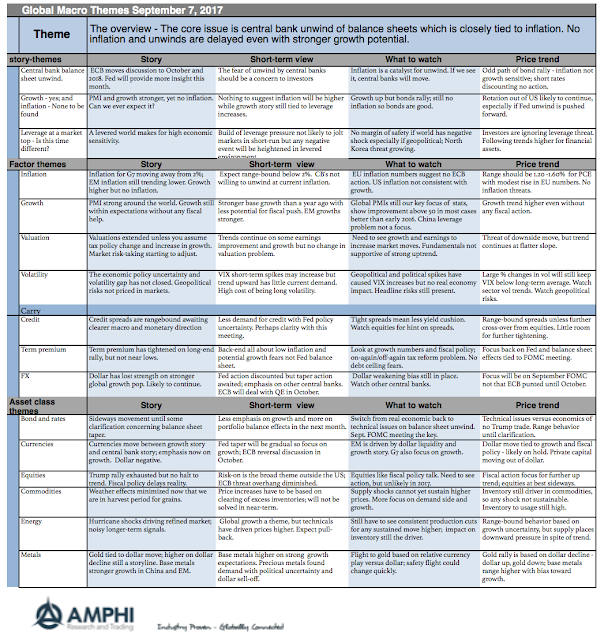 The risk parity portfolios are generally comprised of four sectors which are given equal risk weight: equities, credit, interest rates, and commodities. The result of equal risk weighting will be a stronger allocation to bonds versus stocks given the lower volatility of bonds versus equities. Clearly, periods of strong bond performance will lead to outperformance versus even an equal dollar-weighted stock/bond portfolio. Nevertheless, the last two years have shown strong positive returns after a disastrous 2015. These indices have done better than a broad-based equity hedge fund index and may again be worth looking at as a systematic investment alternative. These indices may be another way of expressing a systematic approach to portfolio management relative to global macro and managed futures. You might initially think that risk parity and global macro or managed futures has little in common with risk parity, but there are some structural similarities which make a comparative analysis reasonable. Many global macro and managed futures programs use some form of volatility targeting which is consistent with risk parity approaches. Additionally, systematic managed futures will often risk weight sectors with exposures in equities, bonds, commodities, and foreign exchange. The largest differences is with the core holding of credit versus foreign exchange exposure as a sector and the active determination of directional positions either long or short versus passive risk exposures. The risk parity approach was discredited by many based on the poor 2015 performance but it actually did what was expected during that period, albeit not what was wanted. 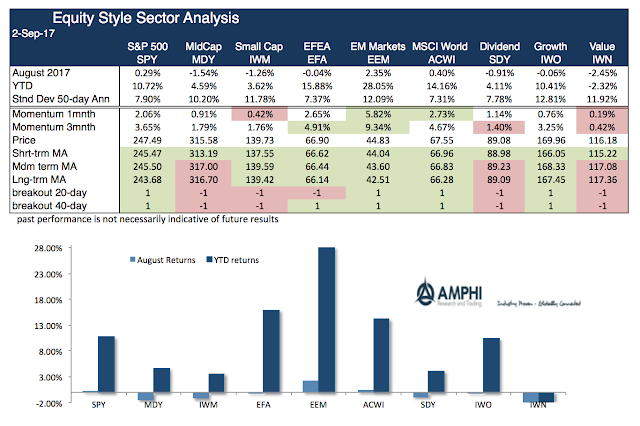 It is now doing what is expected, offering equal risk-weighting across a well-defined set of sectors. It may serve as an alternative for investors who want a systematic approach to risk management but without any directional market views. While stocks were mixed with performance down for the month in with growth, value, and small cap benchmarks, there was a general increase in hedge fund returns for August. 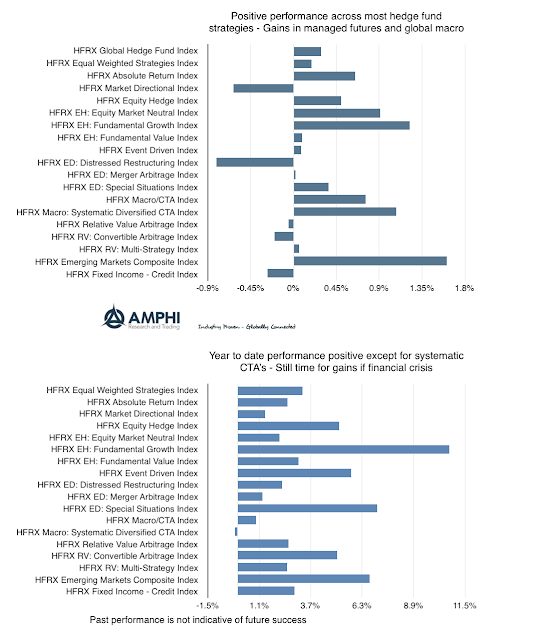 Equity-focused hedge funds gained from the added dispersion in returns across sectors and individual stocks. Evidence suggests that active management relative performance increases when the correlation across stocks decline. The biggest gains were in EM hedge funds which is in-line with the strong gains for benchmarks. Global macro and systematic CTA's also did well for the month on bond, currency, and selected commodity moves. All hedge fund strategy benchmarks are positive for the year except for systematic diversified CTA's. The best performer for the year has been the fundamental growth category followed by special situations. A test for hedge fund investing will come this fall if there is an increase in market volatility and an adjustment in valuations. MiFID II is coming with less than four months to go until the start date in January 2018, yet money mangers and hedge funds are scrabbling to find the right regulatory structure and the right way to manage the costs of the business. MiFID requires an unbundling of brokerage from research costs. Asset managers will either have to pay for research or bill clients. Many managers have yet to make or disclose their intentions on how research costs will be handled. A topic that has not been fully covered is an understanding of the cost generating the investment returns based on the process employed. We can start with a simple discussion model of return generation as the output from a factory. 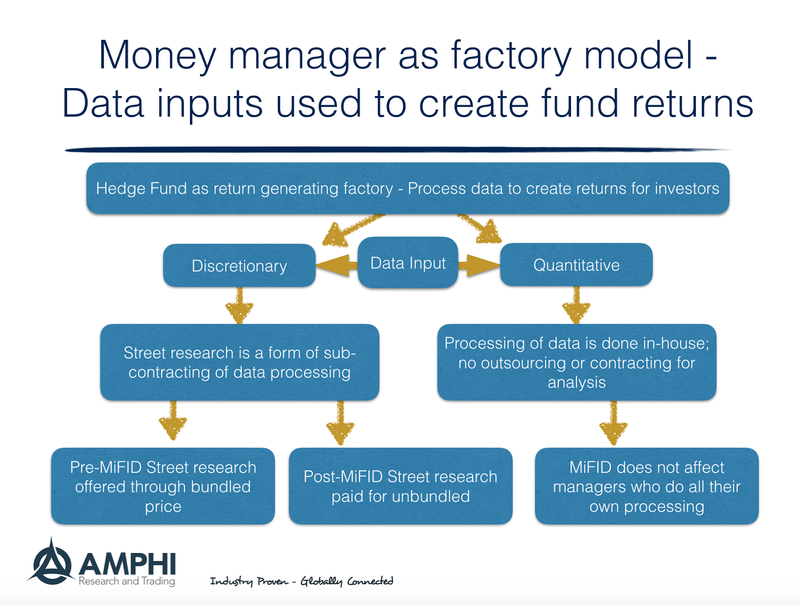 The money manager is the return factory that processes information inputs to generate returns. A key question is where do those inputs come from and who pays for the raw material. The raw material can be data and news. The data could be price feeds, fundamental macro information, or company income and balance sheets to name just a few sources. This raw material generally has to be processed inside the factory to generate ideas, form valuations, and create opportunities. Some raw material needs a lot of processing while others has already been refined and needs little or no processing. The value-added of the manager is his ability to process data and generate a better return output. The data coming into these return factories is the same, but different factories have varying skill at processing the data. Returns can be generated through a disciplined quantitative investment process with inputs like price and macro fundamental data. This systematic process needs monitoring, but runs like a machine. (You can think of the modern factory which uses robotics on the shop floor. It needs limited human intervention.) The input is raw data with all of the fabrication done in the factory through statistical analysis. The cost of this data is relatively cheap with most of the value-added done through the refining process. In this case, there is little need for research from brokers because the raw data are readily available from exchanges and the processing is done in-house. There is no deep link between research and execution because there are no research services from the Street that are used in quant programs. 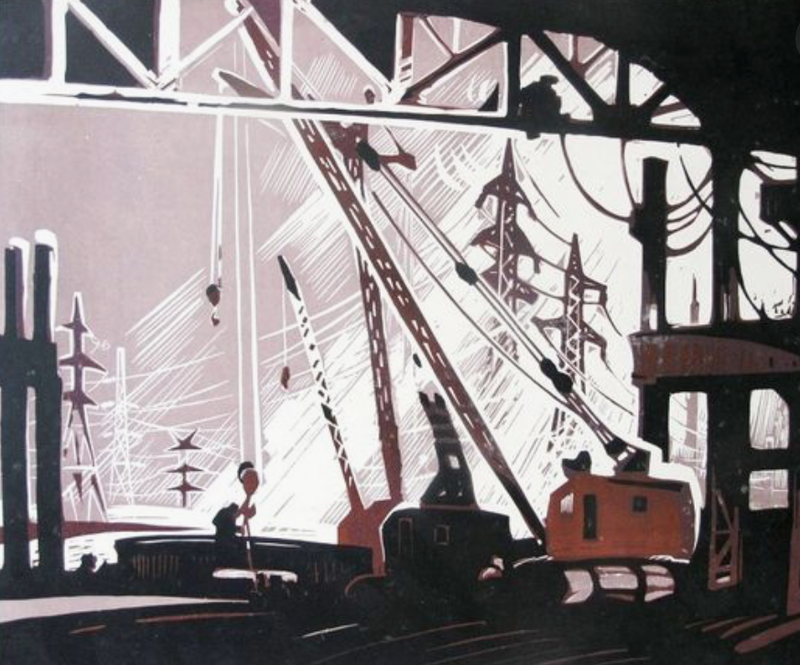 An alternative factory approach is a discretionary investment process which is more akin to an artisan or craftsman. The emphasis is not on bulk processing of raw data but deeper analysis on specific information like firm details which may include company meetings. This work takes more time, and data that is refined or pre-processed is especially helpful. In this model, brokerage firms act like subcontractors or suppliers of research, ideas, and analysis. The efficiency of the discretionary process is in the link with subcontractors or the outsourcing of research. Here the street may provide important contracting services and is a supplier to the hedge fund factory of preprocessed or semi-finished data. This preprocessed information is then used by the fund manager to generate a final product which are the portfolio returns of the fund. The core issue is the value of subcontracting relative to the price that is paid for this service. The money manger gets this subcontracting though a bundled price with execution. 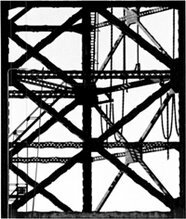 More execution should go to subcontractors who provide more value-added, but the cost of this contracting arrangement is not always clear, direct, or transparent. Good managers should be able to track the quality of subcontracts, poor managers will not. If the subcontractor provides high quality work, then a price will be found for the services. If the quality is poor, then the return factory may reject the input and not use the poor quality or pay for the contracting. Quality assurance may say that the preprocessed data from street research is not useful; however, contracting saves the factory from doing on the data processing in-house. Unbundling will mean that managers will not accept poor quality research that was given as part of execution fees. This is a positive welfare benefit, but still leaves the question of how to pay for good subcontracting. It is a service that is used to enhance the return factory overall product output. It is not just data, but prefabricated analysis usually done inside the firm. Should investors have to pay for this processing? Is the value of the manager his ability to process raw data or his ability to make decisions on processed data? Clearly, all in-house processing firms like quantitative shops will not be greatly affected by this. Fundamental shops focused firm-specific analysis could be hit harder if the work now has to be done in-house. 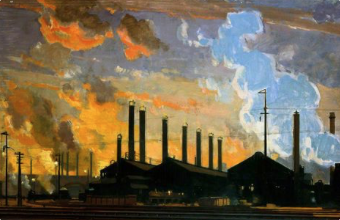 Thinking about money manager as a factory firm no different than other industries makes some these questions easier to address. 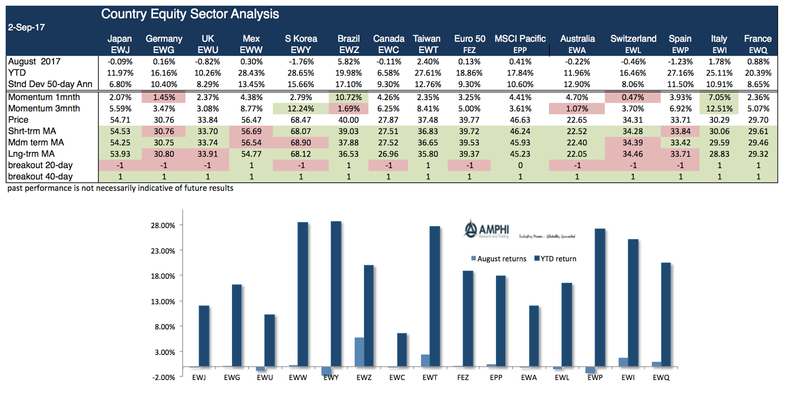 Many of our trend indicators were mixed coming into last month but continued gains in currencies and a strong bond rally positively contributed to performance for many CTA's. The current trend indicators suggest continuation of these existing price moves. We take a representative sample of markets in a sector and count how many have up or down trends to form a sector estimate. The sector estimates can be strongly up or down or more neutral with a bias up or down as indicated by our arrows. Stock indices sold-off earlier in the month only to rally during the second half on positive sentiment concerning tax reform and less aggressive Fed talk concerning its balance sheet. Bonds continue to move higher albeit with weaker slope. Currencies also continue their trends, yet the momentum against the dollar has slowed. Precious metal moves have been tied with currency trends. Energy markets have been affected by hurricane volatility and commodities are biased lower. While some of the strongest trends last month may reverse, our general view is that trends often last longer than expected and without a policy or economic surprise, there is little reason to see a change. 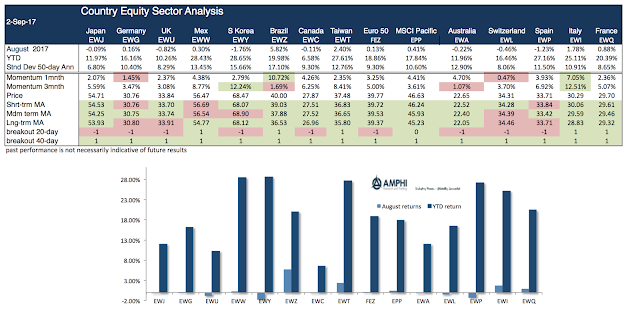 August showed growing dispersion across styles, sectors, countries, and bonds. 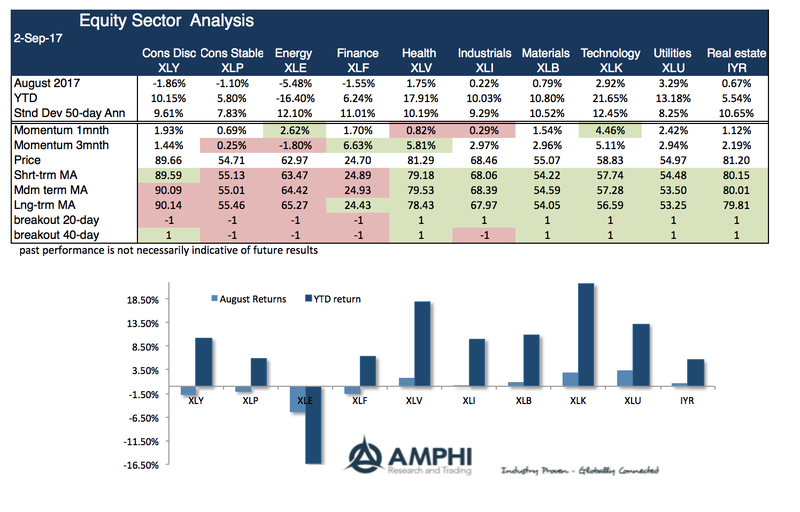 For example, there was almost a 5% difference between holding the emerging market and value ETF's (EEM-IWN) For sectors, there was an 8 percent differential between energy and technology (XLE - XLK) and a 3.5% difference in bonds between long-term Treasuries and high yield (TLT - HYG). 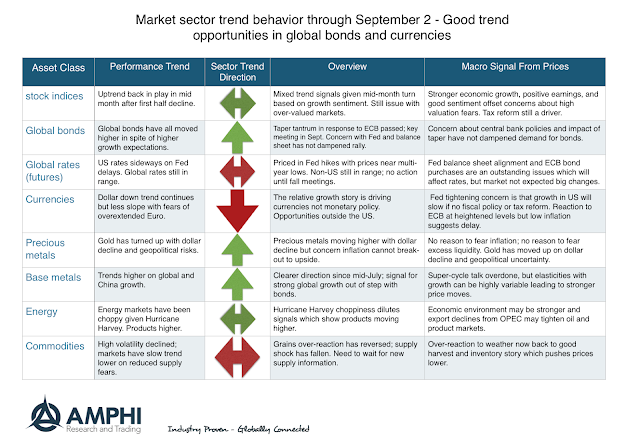 The major theme coming out of August was the mixed message of holding bonds and emerging market stocks as opposed to risky US stocks. You could think of the EM stock bond combination as a barbell around large cap US stocks. Nevertheless, these mixed messages are unlikely to continue. The pessimism embedded in bond investors versus global optimism cannot hold for long. The central bank policy meetings in September may clear up these issues. Global equity markets, especially emerging markets, again added value to portfolios while the more domestic sensitive styles like small cap and value continue to lag. The diversification benefit of holding a global portfolio has proved to also be an excess return generator. Sector dispersion has increased significantly which we believe will have a positive impact on active managers. The differential between energy and technology sectors is now over 35 percent. The differential between health care and finance is over 12 percent. 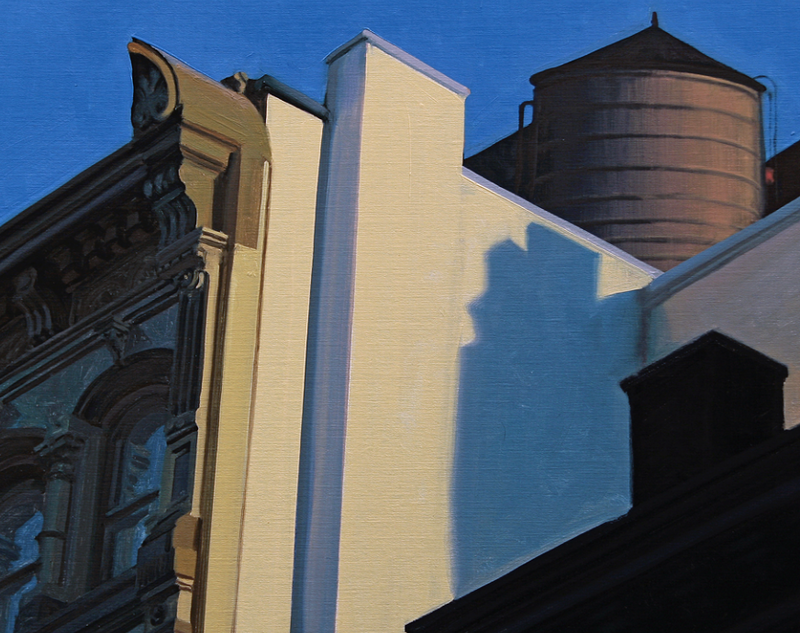 There has been significant return value with choosing the right sector allocation. The country return differentials are also large. The returns have been benefited by currency gains. Although this month was negative, South Korea has still generated strong gains in 2017 in spite of all the geopolitical risks from North Korea. Holding duration in bonds has been a winner for the month; however, the combination of foreign duration risk with currency gains have been especially favorable for this year. 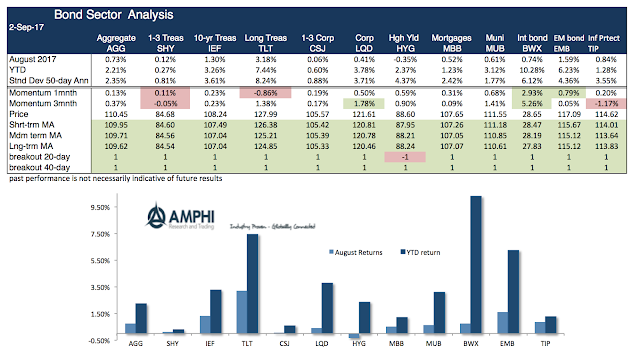 High yield showed the largest underperformance for the month and has underperformed closely aligned Treasury duration portfolios. Trend and breakout signals across a number of time scales still show value with holding country and bond risks which can be accessed in futures and ETF markets.